Qualcomm reveals Snapdragon 670 Mobile Platform with Hexagon 685 DSP, Spectra 250 ISP and X12 LTE modem. Qualcomm's Snapdragon 600 Series Mobile Platforms are popular with our customers because of their support for long battery life, better connectivity, and easy adaptability. The Snapdragon 670 Mobile Platform is the latest addition to the family, and it gives OEMs freedom to add more features and experiment with different mobile device sizes than the previous generations. 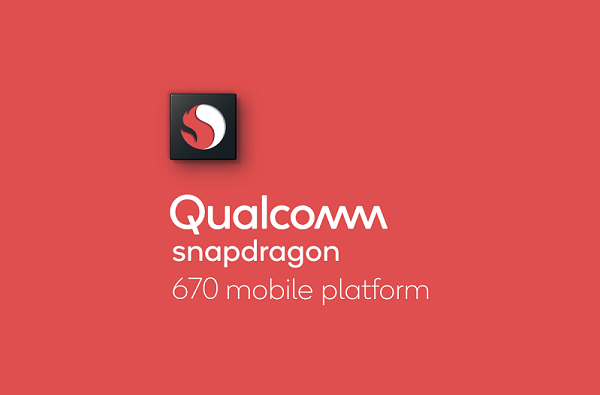 The Snapdragon 670 features highly integrated architectures, including the Qualcomm Kryo CPU, Qualcomm Spectra ISP, Qualcomm AI Engine, and Snapdragon X12 LTE modem, for high-quality mobile user experiences. Together, these features and improvements support leading artificial intelligence (AI), camera, and multimedia applications. Here's a closer look at the advanced features of the new Snapdragon 670 Mobile Platform. The Snapdragon 670 uses the same digital signal processing (DSP) found in higher-tier mobile platforms: the Qualcomm Hexagon 685 DSP. The always-on, always-sensing processor boasts efficient sensor management abilities, ideal for computing algorithms that make AI-powered apps. Qualcomm also integrated its 3rd generation AI Engine, designed to deliver up to 1.8x AI performance than available in the previous generation. Because its AI capabilities are on-device, users can expect near real-time responsiveness, improved privacy, and enhanced reliability, even when the device lacks a network connection. The Snapdragon 670 is the first 600-tier platform to feature the Qualcomm Spectra 250 ISP, the second generation of its signature ISP. The ISP enables most of the premium camera features found in professional cameras - including noise reduction, image stabilization, and active depth sensing. Another benefit of the X12 modem is that it's engineered to automatically switch between LTE and Wi-Fi, depending on which mode has the strongest signal quality and highest speeds at the time. This technology enables better voice and video calls, so dropped calls can soon be a thing of the past. Plus, if an OEM opts to support the feature, the modem can even bond the LTE and Wi-Fi connections to boost download speeds.